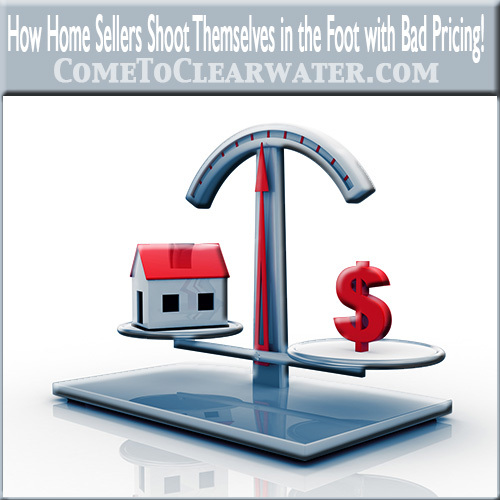 How Home Sellers Shoot Themselves in the Foot with Bad Pricing! Home sellers in Clearwater, Dunedin or St. Pete, who are selling homes need to make sure they don’t shoot themselves in the foot by pricing their homes wrong! As a homeowner, going with what you think its worth, versus actually finding out what it is worth can make the difference between selling your home quickly and having it languish on the market. Pricing it even $5,000 to $10,000 too high and it will sit. Pricing it right the first time will assure a sale. One of the biggest mistakes home sellers make when pricing their home wrong is thinking that the home is worth more than it is. The market has changed much in the last several years including in Clearwater, Dunedin and St. Pete and even if you adjusted your thinking from before the housing bubble burst, you still probably inflate the value. Maybe your neighbor just got a great price for their home and you know yours is just as good, if not better. But is it? Do you have the high end finishes that they do? Is your bath or kitchen showing some wear? Ok, you’re thinking, I can always come down if I’m pricing it too high. Bad idea, for a few reasons. First, when buyers look for a home they choose a price range from the highest their budget will allow to the lowest price that represents the quality of home they want. No matter if they search the internet first or just contact a Clearwater Dunedin or St. Pete realtor to assist them, if the home is slightly overpriced, it won’t show up in the buyers price range. What that means is the buyers who can buy your home won’t even see it. Second, the market for a newly listed home is the most active in the first 30 days. You won’t be willing to drop your price for at least 90, meaning you miss the hot selling period. Short Sale. This desirable 4 bedroom home for sale is tucked in the back of a cul-de-sac! The great layout, generously sized rooms and large living room with fireplace make this a great value in the heart of Dunedin! 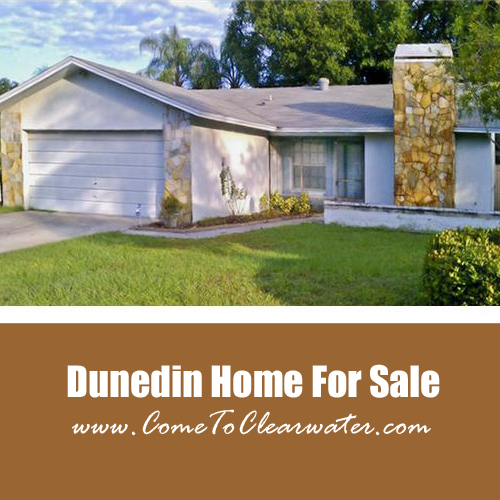 Desirable Dunedin location tucked away in a private setting! This delightful townhouse has a great layout with guest room and full bath downstairs, and master suite upstairs with master bath and a bonus loft area. 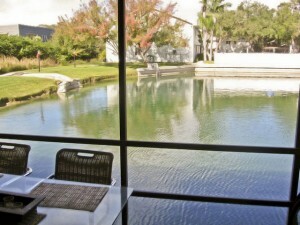 The spacious living area with volume ceilings overlooks the tranquil community pond. The full-size kitchen features a pass-through and is steps away from the wet bar. Don’t delay as this property is priced to sell! Pronounced DUN-EDIN (no, it is not dune-din! ), Dunedin is a beautiful small town located just to the north of Clearwater. Dunedin’s Main Street is truly a desination, featuring shopping, great food, occasional craft shows and even the Dunedin Green Market every Friday. There are so many things to do in Dunedin, whether you are a nature lover or sun lover, there is something for everyone! I have pulled together links for some of the things that I find wonderful about living by Dunedin – if I have missed something that is your favorite please let me know and I will add it accordingly!